For information to be valuable, it must be easily consumable and actionable. This is. And he uses my "infamous format" for the Geiger Counter Interpretation.....copying is a flattery, I'll take it. All EM carries some risk. Power plant HV lines are not well shielded to public below. There's your cancer clusters. 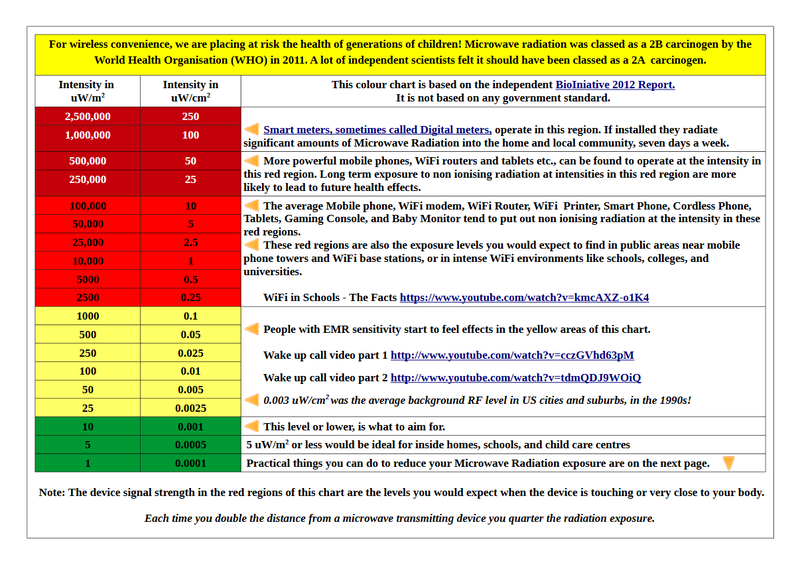 Microwaves are below the visible light frequencies, yet are they always non-ionizing? Try microwaving grapes! WPPSS!! No, don't try this!! !